The EOS ICO end date is quickly upon us and before that time all EOS ERC20 tokens will need to be registered with EOS in order to claim the future EOS issued tokens. The drop dead date is June 1st, 2018, this guide will serve to aid you in registering your EOS ERC20 tokens with Exodus. Note: At this time Exodus does not currently offer an in house solution for registering EOS ERC20 tokens, however they are working on one and recommend clients be patient. Warning: Registering EOS through MyEtherWallet (MEW) requires you to export and share your ETH Private Key. Your private key controls all the assets stored on your address including ETH, EOS, and all other ERC20 tokens. Ensure you are taking all proper security precautions to ensure your Private Keys are not exposed during the process. If you are uncomfortable/unfamiliar with certain process please do the research to protect yourself during this process. You will only have to perform the registration process once. So let’s get started. Note: As with any ETH transaction you will be at least .01 ETH to execute the registration process. Step 4: You must go to https://nadejde.github.io/eos-token-sale/ to create an EOS Public and Private Key. Note: Before completing this step we recommend that you disconnect your computer from the Internet. This is to ensure your Private Key cannot be intercepted. You can reconnect after you have stored them safely offline and closed the page. IMPORTANT: You should store these keys in a safe place for future use. These will be your Public and Private Keys for when EOS migrates to their main-net. Step 5: Next go back to MyEtherWallet and select “Contracts” from the menu then click on “Select a contract” and choose “EOS – Contribution.” Select “Access” this will prefill the EOS contract address. Step 6: Locate and Select “Select a Function” (This will be located towards the bottom of the page.) Select “Register” from the menu. Congratulations! You have successfully registered your EOS ERC20 Tokens and your EOS public key is linked to your Exodus wallet’s ETH keys. On MyEtherWallet, Select “Contracts” from the menu then click “Select contract”. From there choose “EOS – Contribution” then locate and click “Select a Function” (will be found towards the bottom). Select “Keys” from the menu. Step 2: Input your Exodus ETH public key (Exodus Receive Address) and Select “Read.” You will then see your EOS public key in the -string- attached to your ETH public key. Note: Due to network congestion this process may be delayed. So if you have followed the steps outlined above and your linked keys are not showing up please give it time and then try again. Have you prepared for the Tron TRX Mainnet Launch? 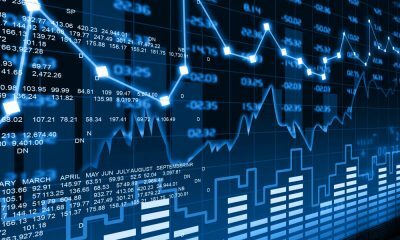 The cryptocurrency world is more buoyant than ever, and with new tokens and platforms being introduced regularly, it can sometimes be difficult to discern which ones are good to buy and which ones should be left alone. 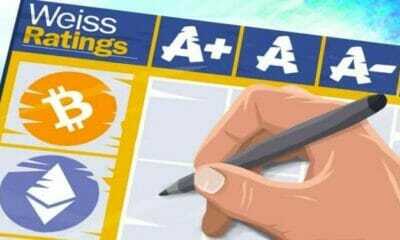 To help you decide which cryptocurrency to buy we have compiled a list of crypto tokens that might be worthy of your consideration and have potential in 2018. Bitcoin suffered a rocky beginning in 2018. After surging significantly in value, the price of Bitcoin dropped. But it should never be discounted as a currency. It has been on the market for many years, made many people rich and is now enjoying widespread popularity. With the blockchain technology being implemented in many practical ways, the world over the currency is set to have continued success as 2018 draws on. During Q1 and Q2, it has been recovering from its previous setbacks. Like Bitcoin, Litecoin had a pretty devastating start in 2018 – the price plummeted as investor confidence dropped. Now it is also gradually recovering lost ground in the market. Many crypto enthusiasts are buying Litecoin because it is a faster alternative to Bitcoin and the price is still relatively low, which makes it possible to purchase the coin in larger sums than its major counterpart. Ripple is an unusual altcoin with a lot of real-world application and potential. The platform underlying Ripple is already being integrated across the world by banks and financial institutions. The coin itself is thriving because there is so much real-world faith in its crypto platform. With American Express using the Ripple platform, many other large financial institutions are set to follow soon. This is definitely a token to keep your eye on, and if you think it is a sound investment, consider Ripple as an option to diversify your portfolio. Another of the big hitters that is going from strength to strength is Ether which operates on the Ethereum blockchain. 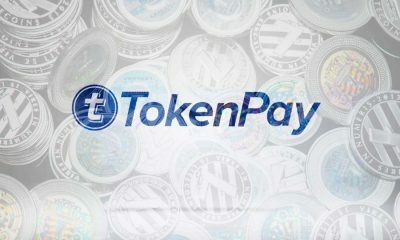 This blockchain is utilized by many companies, and because of its continued success in the commercial markets, the token has grown in value fairly consistently. Make sure you check upcoming Ethereum news as it regularly updates businesses, investors and users with any information that could prove beneficial for those using the platform and the token. Stellar is a cryptocurrency that is aiming to overtake Ripple and compete in the financial marketplace arena. Its sole goal is to integrate fully with the financial world and provide a viable platform that connects financial institutions the world over. It’s no mean feat considering the big names already using the Ripple platform, but Stellar has grown steadily and is refusing to go away, what’s more, it is beginning to make waves among smaller financial institutions and is definitely not a coin to discount. Watch this space! Dogecoin has long been the outsider to the crypto community. Initially created as a parody of the large cryptos and with an iconic and lovable dog on its logo, it picked up popularity quickly and is now considered one of the main crypto contenders. 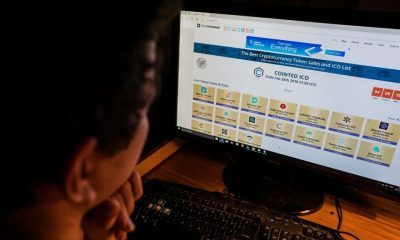 The investors have begun to take the coin more seriously, and in January it reached a staggering $2 billion in market capitalization. Not bad for a coin that initially started as a prank. Dogecoin isn’t thought of as a joke anymore though, it is now taken as a serious currency with a humorous edge. Now we delve into the murky and muddied depths of the crypto world with our next entry – Zcash. The popularity of this coin is derived from its anonymity when transacting, something that has been heralded by the black market and dark web and scorned by financial regulators and law enforcement worldwide. It continues to be used widely and is performing well in terms of growth, so this coin shouldn’t be brushed aside because of its reputation. Plenty of reputable investors and users love Zcash, and it has thus far weathered the storm of scrutiny. Dash is an innovative Crypto that doesn’t actually try that hard to compete with Bitcoin or the other altcoins, instead, their focus is on creating a crypto alternative to the likes of PayPal. Dash is a platform that aims to be accessible to everyone and anyone, whether or not you are actively involved in the crypto community. It has performed relatively well, and although it is a long way off of rivalling PayPal, it has gained a portion of the PayPal market which is really an uphill struggle. Cardano is a new kid on the block, but it has so far managed to earn trust of many investors and hit the list of 10 largest cryptocurrencies by market cap. The team behind Cardano aims to create a distributed network that is “true to the original vision of Satoshi Nakamoto”. 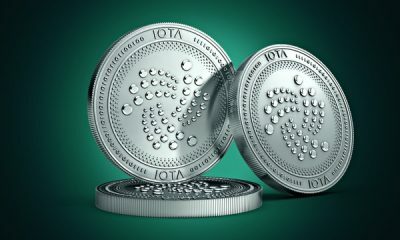 The project is now well under development, but some cryptocurrency enthusiasts already believe that Cardano might cause a stir to the whole industry. The CEO of TRON (TRX) announced that OTCBTC would support the TRON Blockchain upgrade and token migration. On May 25th, 2018 TRON announced the launch of TRONVM and on May 31st activated MainNet. The Token Migration is scheduled for June 26th, 2018. OTCBTC [OTC- over the counter, BTC- Bitcoin] is a cryptocurrency trading platform offering a variety of cryptocurrencies paired with BTC, ETH, and USDT. OTCBTC provides global users a safe, easy-to-use and reliable blockchain service. Currently the most exciting news for TRON is still about its mainnet lunch which is attracting a lot of attention. 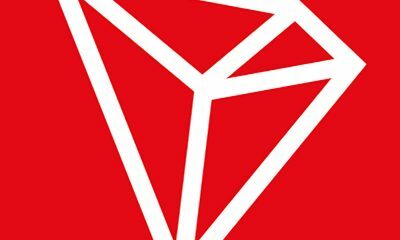 Tron is currently is in its testing period [June 1-24] for preparation of its genesis block, followed by the Super Representative Election on the following day.